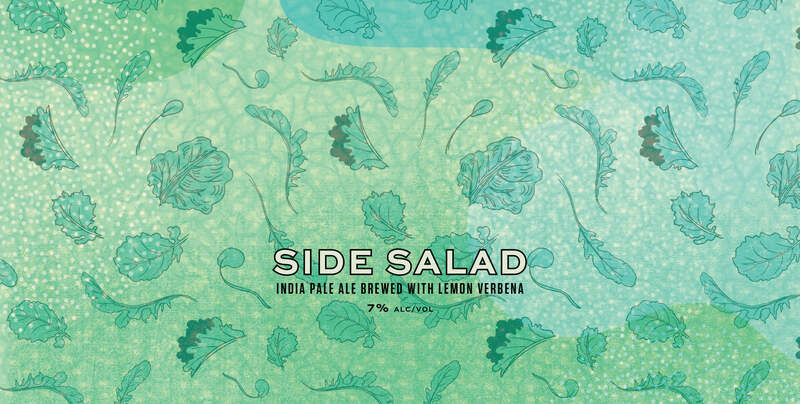 Side Salad - Lamplighter Brewing Co.
A bright and citrusy American IPA brewed with fresh lemon verbena. This effervescent American-style IPA was brewed with fresh lemon verbena, hand-picked in Carlisle, MA. Intensely aromatic with distinctly herbal undertones, Side Salad is quaffable and smooth, like any glass of fresh-squeezed citrus. Eureka and Lemondrop hops contribute subtle notes of stone fruit and a zesty bitterness balances malty sweetness while preserving the juicy quality of every pint. Why eat a meal when you can just order a side salad?